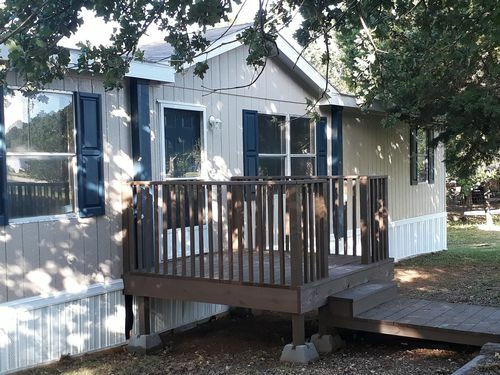 Beautifully remodeled one owner mobile home. Come see before it is gone! It has a brand new roof, new carpet and dark vinyl, new plumbing throughout, and electrical and plumbing fixtures! Tons of room for family with a large master BR, large master closet and MBR with soaker tub and separate shower adjacent to a bedroom that could be a nursery or office at one end and 3 good size bedrooms on the other. Split by a cute open concept kitchen, dining and living room, this home has abundant natural light and windows. Green space and pond back up to the 1.3 acre lot in a quiet country location. Horses OK! County location with quick access to the city for needs and entertainment. Big, Affordable, Like New!! !